I doubt any homeowner likes installing drywall or having a professional put it up. And though drywall is a necessary part of home renovations, there are also innovative tools and materials that make the process easier, faster and cleaner. Whether you plan to install drywall yourself or hire a professional, you’ll be better off with the right stuff on your side. Enduring the dust generated by sanding drywall compound is probably the most annoying part of any renovation, and the biggest part of the problem is the way drywall dust floats around so much. 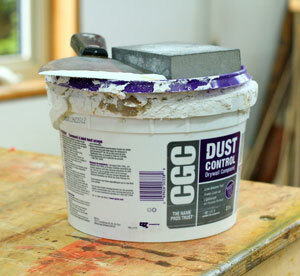 CGC’s dust control drywall compound is unique because it simply falls straight to the floor, with almost no airborne dust wafting around. The difference is remarkable. You’ll certainly appreciate it if you do the work yourself, but a cleaner house is worth it even if you hire a contractor. Ask about having dust control compound used on your job and you’ll spend a whole lot less time vacuuming white dust out of your cutlery drawer. The biggest hassle of installing drywall yourself is getting the sheets into your house, and this is where drywall delivery is helpful. Ask about drywall delivery programs where you live and you might be surprised at how easily it happens. The best programs promise next-day delivery with orders placed before 2pm, with sheets delivered anywhere you need them in the house. There’s usually a minimum order size for free delivery, but this figure typically includes joint compound, tape, insulation, corner beads and other drywall products. Drywall delivery programs are supported by hundreds of big box stores across Canada, so you shouldn’t have to schlep drywall yourself. 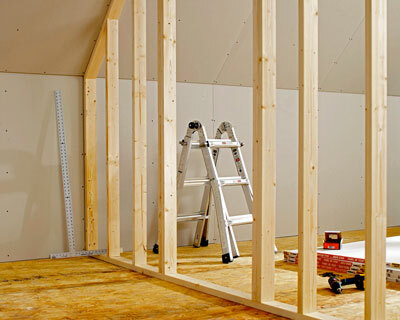 If you’re drywalling, chances are good that you’re putting insulation in walls, too. And if this means insulation batts, you’ll appreciate knowing that some types of insulation are definitely more pleasant to install and more effective than others. Roxul stone wool batts are the easiest to cut, least dusty and most resilient I’ve worked with. They also don’t make you itch and their high density fibre structure is the reason why. Although you can cut Roxul with a utility knife, don’t bother. A serrated bread knife is the tool of choice for trimming this stuff. You can easily cut measurements down to 1/4” increments, for a gap-free fit within wall frames. Combine moisture and organic matter and mold is the result. That’s why special drywall is made for potentially damp locations. Green drywall is one common, mold-resistant type, but it’s not entirely mold proof. To achieve that valuable outcome, you should look at fiberglass drywall. Also called glass-mat drywall, it’s king when it comes to resisting mold growth completely. These products do cost more than paper-based drywall, but the size of most moisture-prone areas are small enough that the benefits win out. 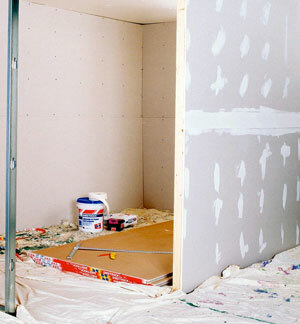 There’s no point in putting up mold-proof drywall if the tape you use for joints goes moldy when it gets damp. Regular paper drywall tape is just as much a food source for microbes as the paper on conventional drywall, and that’s why it makes sense to tape with something different in high-moisture areas. Fibatape Mold X-10 is one tape I know of that resisted mold growth completely over a four week period sealed in a test chamber with 95% relative humidity at a temperature of more than 30ºC. It simply works. The building business tends to be cautious about adopting new technology because contractors don’t want to be burned. Even still, it’s a mistake to ignore advances in building systems just because they’re new. If faster, reliable, cleaner and more durable methods for drywalling are available, might as well use them. Looking to Thaw Rooftop Ice Build Up?